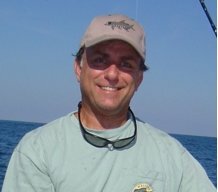 Discussion in 'Questions & Answers: Gain Angling Knowledge' started by TWOTOABOOTH, Aug 16, 2016. I just set up one of my medium poles with an FG knot from braid to mono. I like the fact that I can still reel in the mono without any snags. My question is, has anyone else used this knot and how does it hold up over time. I'll have to look into it. I have always used the uni to uni knot for my braid to mono knot. Uni-Uni, I tried tying it, but need more practice. Uni is fast and strong. I just started using the FG knot for braid to leader connections. Very smooth casting, but takes a little longer to tie. I can tie a uni-uni pretty quick and it is still my "goto" knot when I'm fishing. The FG gets tied when I'm home on the couch getting my gear ready for the next day. Yeah, for me the FG was too difficult to tie unless I was sitting at home. I’ve been using the Alberto knot lately and like the results. Easy to tie and I seem to have better results than uni to uni with thick mono. FG knot is great for leader to braid connections. It is not the easiest to tie but if you prep your gear beforehand at the house this is the go to for me. Especially for pitch rods and top shots that get pulled through guides a lot. The knot doesn’t catch and hang up and is very strong. Personally I use it as much as I can but I havent mastered tying it yet so I keep A uni to uni as a back up when on the water. Or Bimini into Albright only cause I learned that one well enough to be proficient at it on the water and works well through guides as well. Even better on inshore casting braid to fluorocarbon leaders. I was a uni-uni knot guy for awhile until I learned about the FG knot a few years ago and have to say that I highly recommend it. Once you get used to tying it, it's so much faster and possibly stronger than the uni. IMO the Fg is hands down better inshore knot over uni to uni. Love it. If I'm in a hurry I'll go with a uni to uni or if its dark but for the past year the fg has made my life better. Casts through the guides like a dream, doesn't pick up grass and allows me to use a longer leader without sacrificing casting distance. Yeah it's a PIA to tie in a pinch but every time you tie it it gets easier. I think it holds up great just make sure your finish/locking knot is doubled/tripled to keep it from unraveling. Just learned the FG knot and has been very strong for my offshore fishing needs. I learned the FG about a year ago using the tutorial posted. Drove me nuts at first but I'm finally to the point where I can tie it in a pinch on the boat.